Icelandair's business strategy is based on the geographical position of Iceland, midway between North Europe and the eastern coast of the USA. 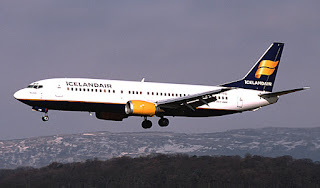 By uniting on one aircraft, passengers traveling to and from Iceland, with passengers crossing the Atlantic via Iceland, Icelandair has expanded and reinforced its network continuously over the last decades. 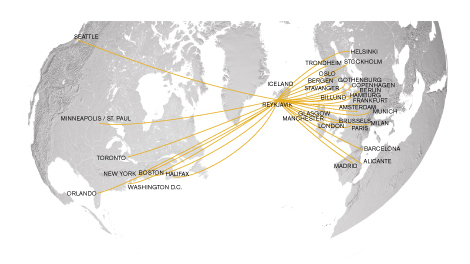 Icelandair connects 15-20 cities in Europe with 5-8 cities in North America, through Iceland as a hub. The network is based on 24-hour rotation, with connecting flights leaving Iceland in the mornings and afternoons. The fleet is exclusively made of B757 aircrafts with a capacity of 200 to 289 passengers. Where are the world's busiest airline routes?